Corporate leaders know that employee turnover is expensive. When organizations invest in employees, they are investing in much more than just their salaries. According, to an article released by Huffington Post in 2016, the cost to an organization of losing one employee was estimated to be up to $25,000 a year. However, that same organization will have to spend additional money to interview, hire and train another employee to replace the one that left. Over time, these costs can add up and affect the corporate bottom line. That’s where upskilling training can come in as an alternative to bringing in new staffers. Skills in general improve someone’s approach and mentality towards what they are working on hence skills are a commodity. They are in fact the inherent abilities that make each and every employee unique to each and every organization. From a modern organizational perspective, those that give their employees ways to build upon an existing set of skills are those that are most likely to succeed, especially given the speed at which the digitization of the enterprise has forced organizations to move. Bare in mind, today’s employees enjoy a mobility like no other generation has before them, giving them the ability to come and go throughout their careers, tackling different challenges that touch on different dimension of their skill sets and at different companies. They want opportunities to develop, both personally and professionally, and are more likely to stick around companies that offer those benefits. Problem is, that mobility can have a significant impact to a company’s bottom line, and there’s no voice louder than money to encourage today’s organizations to move to minimize disruptions related to employee retention issues. After all, encouraging your employees to seek out new skills that satisfy the needs of your organization’s growth are not only an effective way to bump your bottom line, but also gives the employee a shot at a promotion, more money, increase workplace productivity and to become a valuable mentor of the business’s next generation. Upskilling is more than just a buzzword. It’s a crucial tool that more of today’s organizations must consider as a way to bridge gaps related to employee engagement and retention. In recent years, companies have repeatedly experienced how new, disruptive technologies keep changing the world of work. Digital transformation has an impact on the kind of products and services customers want, as well as on how companies produce and deliver them. Since new technologies require new competencies, many managers are discovering that the skills of some of their employees are rapidly becoming outdated. Of course, one way to address this challenge is to simply replace those workers with people who are more technologically fluent. However, there are a number of reasons why this might not be the best course of action. Every organization needs to keep up with technological advancements in order to remain competitive. By providing your current employees with the training they need in order to leverage new technology, you can create a win-win situation that ensures your company has the necessary skills in-house while simultaneously creating a more valuable, engaged and loyal workforce. Why Upskilling Your Employee Is Necessary? 1.The nature of jobs are shifting. Digitalization has and is affecting every company, every field and every Automation, where machines does humans work has taken away many jobs. At the same time replaced them with new roles requiring new sets of skill. Those who could do their jobs without strong technical abilities just a couple of years ago must now use an array of technology tools in their everyday tasks. Finding and developing people with digital business skills is not just a priority but it has become a criteria. No one wants to work at a company that doesn’t invest enough in its employees’ career development. Upskilling ensures employees’ skillsets won’t become obsolete, and shows your people you care about their careers and their futures. Employees who are given the space to grow and develop are often the happiest and the most productive ones at an organization. If your company works to retain tenured employees, it is a prove that you are making a solid investment in the people that is working for you which is sure to boost morale and productivity of your employee. Employees who are challenged to grow outside of their roles tend to get excited about what might be around the corner for them. Upskilling ensures employees’ skillsets won’t become obsolete, and shows your people you care about their careers and their futures. Hence, upskilling ensures employees’ skill sets won’t become obsolete, and shows them you care about their careers and their futures. Another reason upskilling is becoming important is because today’s new generation of employees are not going to be satisfied in their jobs if they are not given serious opportunities to learn. Today’s generation know they need to be continually developing their skills if they want to stay relevant in the workplace these days. Often, they don’t have the time or money to invest in upskilling outside of work, so they look to their employer for support in this area. Your employees satisfaction leads to your customer satisfaction. When workers are happier with their company and believe in what they are working toward, they do better work. When the do better work it result in the delivery of best products/ services to your customer. Plus, upskilling keeps your workforce up to date on industry trends, allowing them to offer the best recommendations and insights to clients and prospects. Clients are willing to pay more to work with a more knowledgeable, proactive team. And when clients are happy with the work you do, they become stronger brand advocates for you. 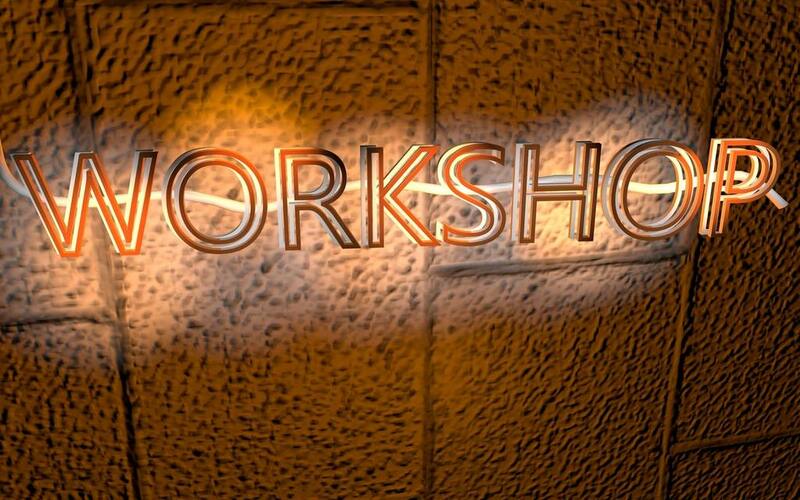 5.Training and development programs uplift morale. Any time you invest in your employees by providing or supporting upskilling opportunities, they feel more valued, and in turn, grow more loyal to the company. Therefore, providing your employee with the right training and skill will give them a relief and satisfaction, which again brings success to your company.What’s more, when your employees learn new skills, they put themselves in a position to take the next step on their career path with the company, and that’s a win-win: The employee gets a desired promotion, and the organization gets to fill an important position with an experienced, skilled worker whom has plenty of institutional knowledge and can hit the ground running. 6.They also boosts the bottom line. Though upskilling programs can cost money, they also provide strong ROI (Return of Investment). For one thing, it’s often easier and cheaper to address skills gaps in your company by training your current employees, rather than going out and hiring new ones. For another, employees who feel like they don’t have the opportunity to grow and move up at their company tend to leave for other opportunities. That means you have to replace them, and the costs involved in the recruitment and hiring process are high, from advertising the position to potentially paying a signing bonus to the new person. And that’s not even taking into account the time it takes to train the new person once they’re on the job, and the loss of knowledge and experience the former employee took with them when they left. Unfortunately, a lot of organization consider professional development to be the employee’s concern, not the company’s. If you believe that hiring an experienced employee trained by someone else is less expensive than training employees yourself, you are mistaken. Such an employee will never feel loyal and devoted to your company. They will be much more likely to leave than employees in whom you’ve invested time and money. When they leave, you’ll have to go looking for a replacement – hoping the next one doesn’t leave as well. Employees are your company’s most important assets. Their training and professional development is something you should invest heavily in. A Competitive Advantage Over Other Companies- Offering employee a training to improve and nurture their skills is a good way to attract candidates to your organization rather than your competitors. Decrease Turnover – As mentioned earlier, employee replacement can cost a company a huge blow. A high turnover rate also affects the company’s market position and revenue. By training employees and investing in their career development, you can make them feel valued by your organization. This will lead to longer employee tenures and less turnover. Gives a Flexibility in the Market– Training and development programs can make a company more flexible in the market. 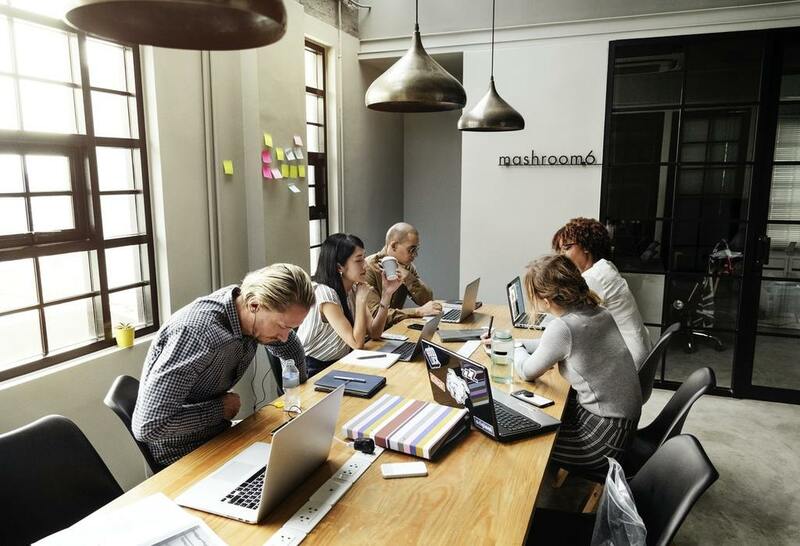 When your employees are well trained, they are better able to respond to unpredicted changes in the market, which ensures company success in the long term. What is ROI and How to Measure the Employee Training ROI. Now that you know why employee trainings are worth the investment, it’s important to note that having an employee-training program for the sake of just checking the box is a waste of time and money. Training and development are only good investments if they are effective and engaging. The idea, of course, is that the employee walks out fully equipped with skills they did not have before but it needs proof and at end of the day what matters is what does a training program really accomplish in terms of productivity. To measure the productivity of the training there is a technique known as ROI measurement. This allow the upper management to see the value of training in recognizable, actionable terms. ROI Formula- Use the following formula to determine training program ROI, ROI= (benefits / costs) x 100. So, For example, let’s say a training exercise boosts sales by RM 15,000 and the total cost of the training was RM 6000. Using the ROI formula: (15,000/6000) x 100 = 25%. Hence, this training program was a success from a business perspective because it yields 25% return on the investment in training. This shows that training is warranted from a business perspective and is a good investment. Customer satisfaction – Main objective of any business is to keep their customers happy and satisfied. Employee trainings should be able to help provide a better service from start to finish. Proper training can help retain customers and have a positive impact on the overall, providing long-term profitability. Try surveying customers and clients to measure their satisfaction levels and see if it increases with staff training. Sales – This is probably the easiest way to measure ROI. Action speaks louder than words they say hence you can simply look at your sales figures before and after training and see if the training was effective. As training will potentially improve productivity and efficiency, it is reasonable to expect sales to increase, too. However, don’t forget that it may take time for your training to have an effect, so allow some time before making any big decisions. Mistakes – Mistakes naturally happen along the way but the whole point of training is to lower down the number of mistakes. Logging these as they happen will allow you to compare the number of mistakes before and after training takes place. Fewer mistakes can lead to time and cost savings in the long-term. Uptakes- If you’re spending lots of money on training, including the money lost from employees’ time away from work, you don’t want to see staff reverting back to old habits and ignoring the methods they’ve been taught. Monitor your staff to make sure they are putting their new skills into practice and help them form new habits that benefit the company. Morale- It is easy to look over employee morale when considering ROI, because morale is an intangible measurement. However, it is extremely important to any business. Before and after training, survey staff that participated in the training to see whether they are happier, more motivated, or feeling more valued. This can have a huge impact on their productivity, willingness to help, and retention. It’s important not just to focus on the money you make in the business, but also on matters such as job satisfaction, teamwork, positive vibes to name a few. Don’t forget that it’s the team behind you that helps to run your business. Make sure your team is happy and motivated to do the best job possible. Our Neuroscience Masterclass aims to do just that. It will provide employees with all the effective and persuasive sales tactics and skills they needs to become better and more productive. Studies show that neuroscience has helped increase productivity and profit by 20%. 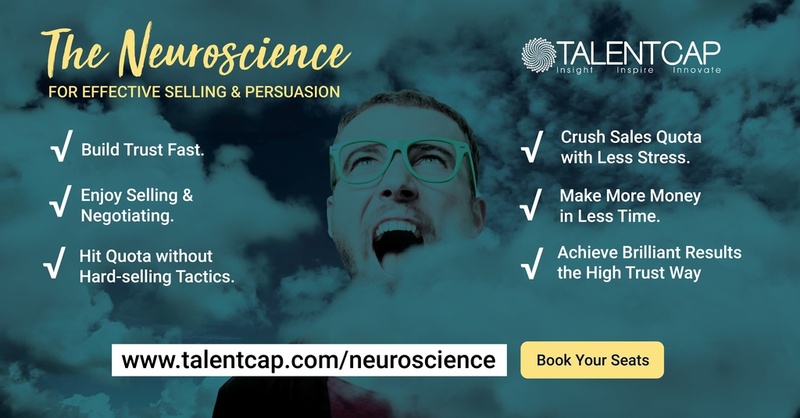 If you are wondering how is science going to help in all these, Sales and negotiating skills are so closely intertwined that they should be taught together. In fact, we need to know the basics of selling before every negotiation. Neuroscience, is the study of human behaviour which can help you understand people better and react well to their action. With combination of the knowledge in sales and the art of persuasion your employees are going to extraordinarily successful. Hurry up and Sign up to the masterclass now. Your business and your life will be better for it!